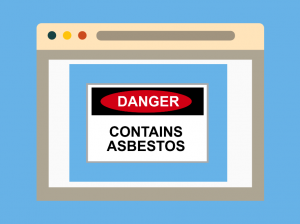 How long is the Asbestos Awareness eLearning course? Who should complete the Asbestos Awareness course? The course is mandatory for those who work in a trade or occupation involving building maintenance. If you work in construction and are working on a refurbishment or construction project – by law, anyone employed to work on any type of construction should have some form of Asbestos Training. Is the Asbestos Awareness course accredited? When does my Asbestos Awareness certificate expire? The Asbestos Awareness course is intended to give delegates a further knowledge of the asbestos and its dangers and how it affects the construction industry. know how to avoid disturbing asbestos. The Asbestos Awareness eLearning course is split into 4 modules, each covering the relevant content to successfully pass the course. The course is delivered through a range of interactive exercises, videos, multiple choice questions and a final exam. On completion of your course booking, you will receive an email with your login details to the online portal. 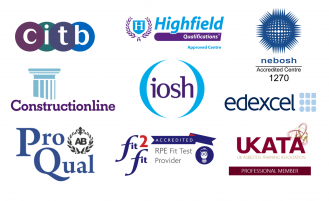 Once you have passed the course you will be sent a UKATA registered certificate directly to your email address. An alternative to this course would be the classroom delivered UKATA Asbestos Awareness. This course is suitable for who work in the vicinity of asbestos but prefer to have their training delivered in a classroom. This UKATA course that we are offering for sale, is sold under license from Asbestos Training Limited who is the UKATA approved Professional Member UKATA NO:160AB, and this company 3B Training are not a UKATA Professional Member for this classification of training, UKATA Asbestos eLearning.